ZipTape® Label ID Systems offers plastic sleeve wire markers for applications requiring the highest degree of permanence. 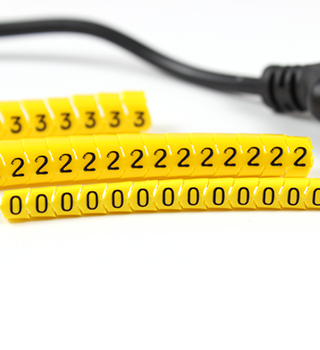 These easy to use plastic cable identification markers can be applied before or after termination based on the style you choose. 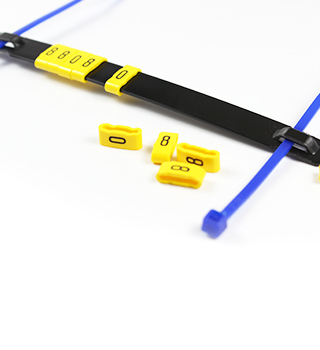 If you are applying markers to a terminated (finished) cable, you will love our easy to use snap-on cable markers. 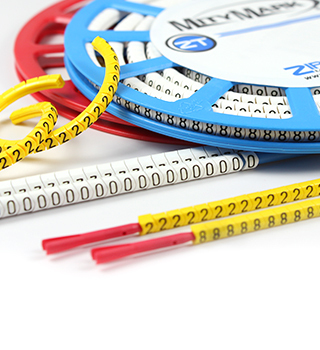 For non-terminated wires, our slip-on PVC cable markers make it very easy to properly identify your wires. These plastic wire markers are ideal for applications in electrical, pneumatic and hydraulic cable identification marking. They are available in a variety of pre-printed characters including industry recognized numbers, letters and symbols. This popular item typically ships within 3 business days. We are a proud distributor of Partex® quality products for over 20 years. If the wires you are working on have not yet been terminated, our slip-on plastic sleeve markers may be the best way to label your cables in a professional way. For projects that involve previously terminated wires, snap-on plastic sleeve markers may be the most appropriate way to label your cables. Horizontal markers are used for jobs where plastic horizontal carriers are connected to large wires, pipes, or conduit by zip-ties.